City Lights is a 1931 American silent romantic comedy film starring, written and directed by Charlie Chaplin. It also stars Virginia Cherrill and Harry Myers. 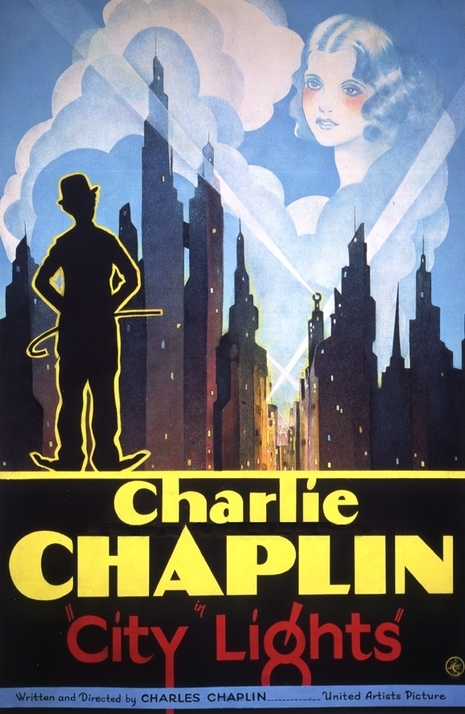 Despite the fact that the production of silent films had dwindled with the rise of "talking" pictures City Lights was immediately popular and is today remembered as one of the highest accomplishments of Chaplin's prolific career. Although classified as a comedy, City Lights has an ending widely regarded as the finest and most moving in cinema history.